Sydney Dark Ash Oak is a effect oak 7mm laminate floor is high-quality, trendy and ecological. The dark grey tone of the oak look, with many knots and an obvious woodgrain, appears very rustic and gives the floor a vintage character. The circumferential V-bevel creates a realistic wood floor appearance. This is a truly genuine looking floor, so you will have the appearance of a solid or engineered floor without the hassle and cost! The construction is High Density Fibreboard, meaning that's it's very durable and hard wearing, and will be more than suitable for a residential property. The floor allows floating installation thanks to the glueless click system! Ensure beautiful floors and trust a professional for installation. The products have a 15 year guarantee for private use. As the planks are 192mm wide, this floor will look beautiful in a room with higher ceilings and bigger, more open spaces. Beautiful colour, this looks stunning and was so easy to fit. 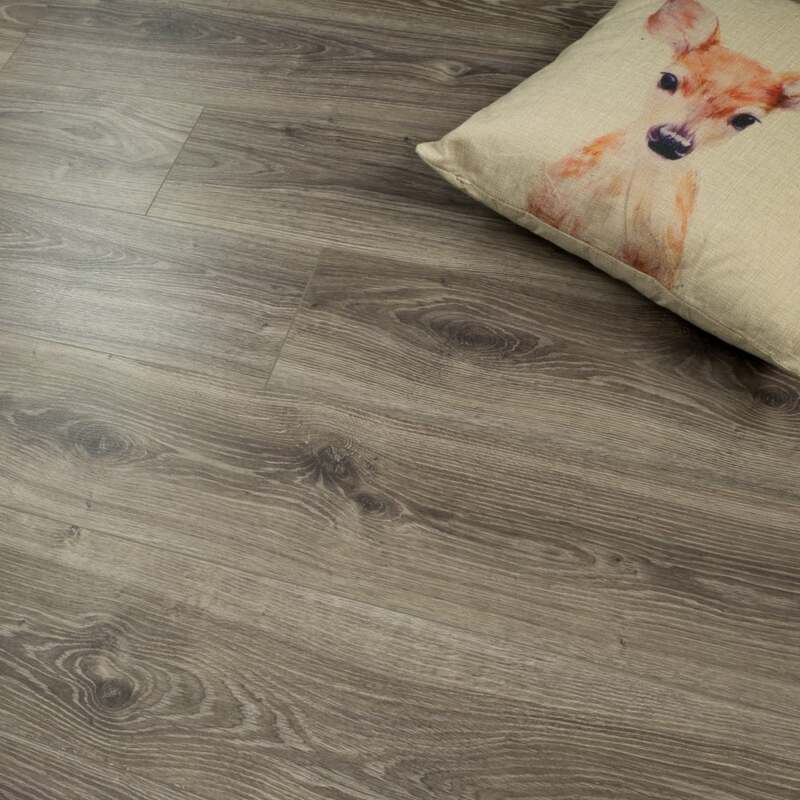 This flooring is a true reflection of the image online, it is a very good quality, it feels quite hard wearing (durable). In the light the color looks a shade lighter but when matched to my existing flooring it is the actual color in the online image. I will be purchasing some more laminate from here again (I have a whole house to complete) it's definitely worth the price.